Here in Southern Ontario we have just enjoyed a glorious Victoria Day Long Weekend. For us it was a long weekend of spending time with friends, gardening and grilling. When the weather is beautiful I like to spend as much time outside as possible so my kitchen gets a little neglected. Baking slows to a crawl unless it is rainy and all our meals are cooked on the BBQ. We spent Saturday evening at a friends house playing Bocce Ball and sitting outside on their deck while the night sky came to life with the most impressive neighbourhood firework display I have ever seen! It seems as though every family within a 5 km radius was setting them off. It was fantastic and we were right in the middle of it all. This lovely little side dish made a nice accompaniment to the family’s Italian sausage and my favourite salmon sausage. The dish would also be great as a main with some grilled avocado. There are 5g net carbs and 4 Weight Watchers points per serving. 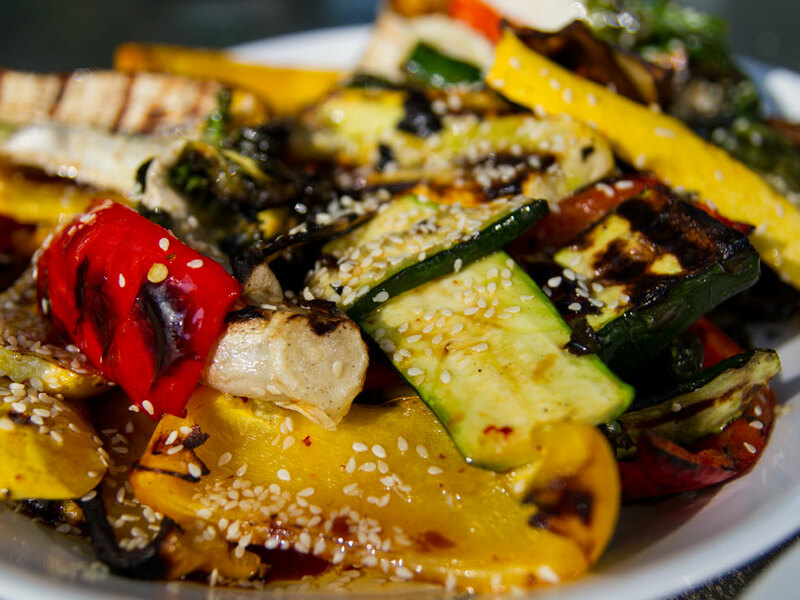 For the dressing, toast the sesame seeds in a small dry skillet over medium heat until golden. Toss the vegetables in the oil and salt and pepper. 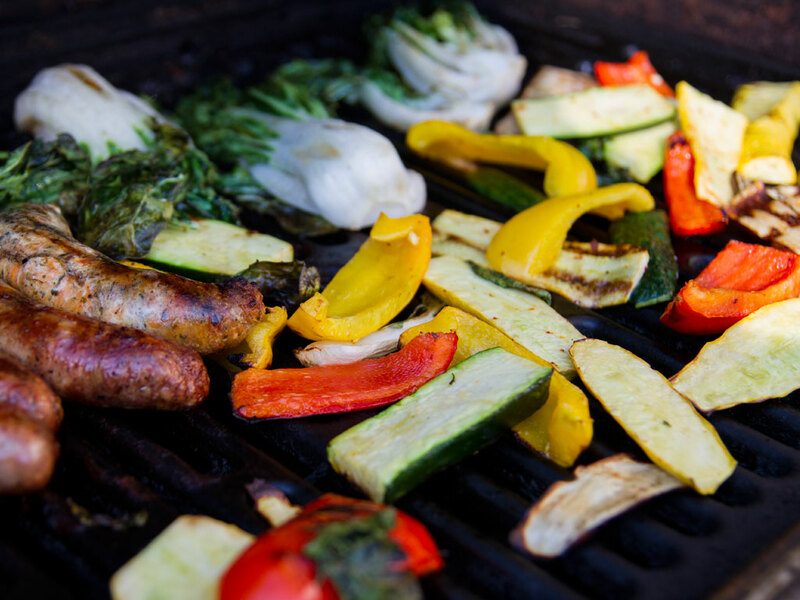 Grill vegetables on a preheated grill over medium heat turning occasionally until tender crisp. 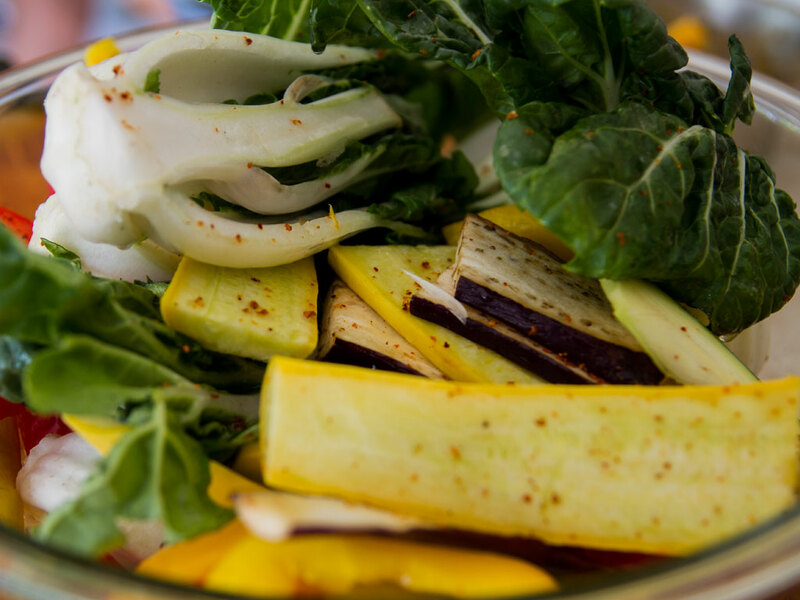 Arrange vegetables on a large platter and drizzle with dressing and toss. Serve immediately.